During this time of year, everyone is searching for the perfect gift for their child or grandchild. 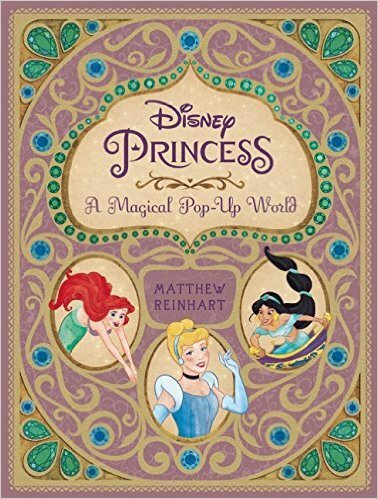 I want to recommend you consider DISNEY PRINCESS: A MAGICAL POP-UP WORLD. From my experience with children's books, this book is perfect to read aloud to your daughter or granddaughter. The various princesses from classic Disney movies are illustrated in these five page spreads with 27 pop-ups. 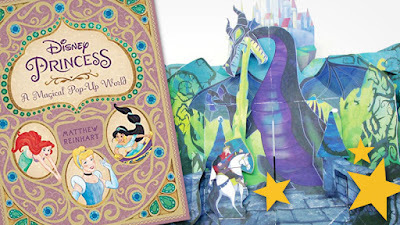 You should get this book just to see the incredible paper engineering and enjoy the reading experience with your child. They will love to see each pop-up. I encourage you to keep this book is a special place where an adult supervises and watches the child interact with each pop-up. With care, this book will provide years of fun for every reader. Matthew Reinhart has done a remarkable job with this book. Insight Editions, the publisher, was also thoughtful about the paper for this book and produced the book in association with Roots of Peace. Two trees will be planted for every tree used in the manufacturing of this book. Roots of Peace is an internationally renowned humanitarian organization dedicated to eradicating land mines worldwide and converting war-torn lands into productive farms and wildlife habitats. Roots of Peace will plant two million fruit and nut trees in Afghanistan and provide farmers there with the skills and support necessary for sustainable land use. This book was manufactured in Thailand. The DISNEY PRINCESS: A MAGICAL POP-UP WORLD spans eleven films and princesses including fan-favorites such as Rapunzel, Belle, Snow White and Ariel. This book will provide every adult and child hours of fun and entertainment. I highly recommend it.